Today was a bit of frustration. The SPX wouldn’t go down, but it didn’t go higher, either. Tomorrow appears to be gearing up for a big down day. 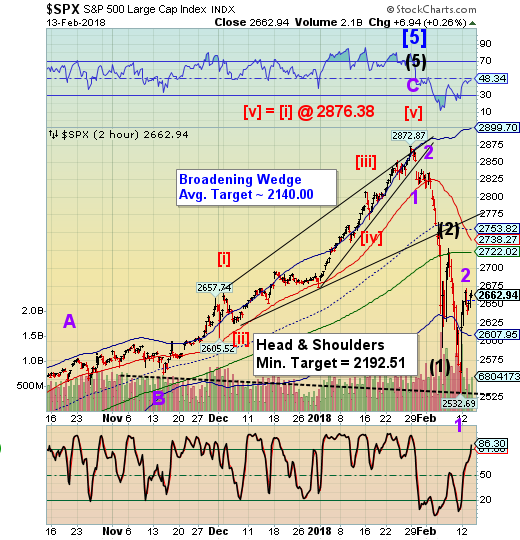 Wave relationships suggest that possibly both the Head & Shoulders and Broadening Wedge targets may be reached in the next two days. Do the math. That’s approximately a 20% decline from here. Mike (Mish) Shedlock comments, “Interbank lending took a historic dive. 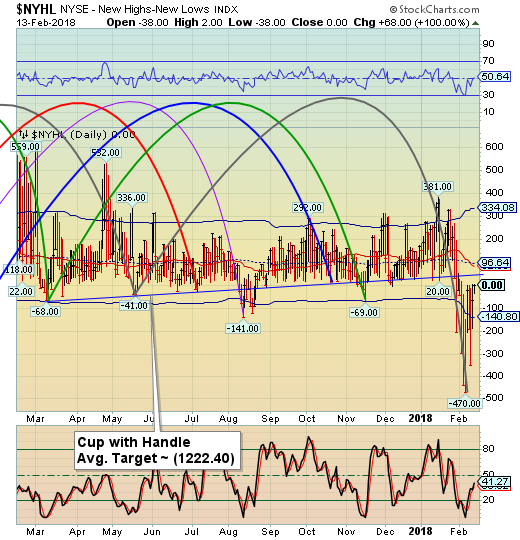 Readers ask "What's happening?" Let's investigate. The plunge in interbank lending is both sudden and dramatic. What's going on? The short answer is a straw broke the Fed's back. The Hi-Lo Index is still on a sell, although getting a bit “edgy.” As mentioned before, the trendline is the buy signal in this case. …the rest of the managers will have to buy protection. 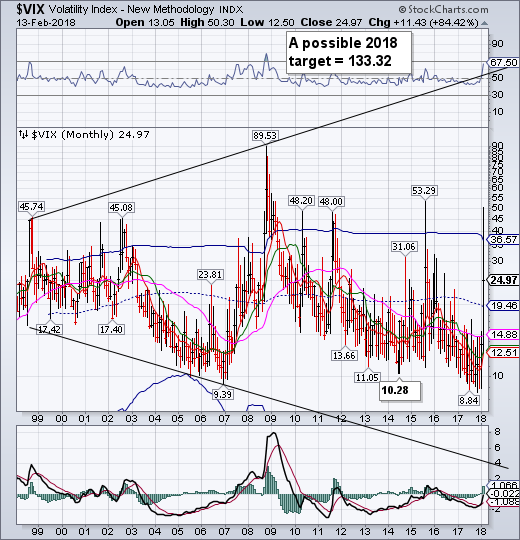 I just did an analysis of the VIX and was not surprised to find out that the biggest moves are still ahead. Wave [iii] of 5 of (3) has the propensity to be twice or three times the size of Wave [i] of 5. That’s a potential 40-60 point move off yesterday’s low. Conservatively, Wave [iii]’s target could be 65-85.00. 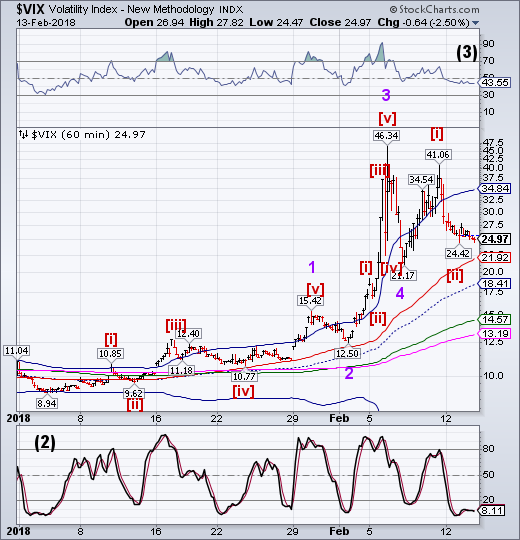 Wave [v] may be even larger, which could conservatively put Wave 5 of (3) over 80-100. Remember this chart? If Wave (3) is over 80 and Wave (5) has the potential of being larger than (3), does this chart now make sense? We may be on the brink of this historic event.